Wow, it's party number 350! That's a lot of parties and I thank y'all for joining me each week. I know some of you have been with me since the beginning. It still amazes me at all the talent out there. 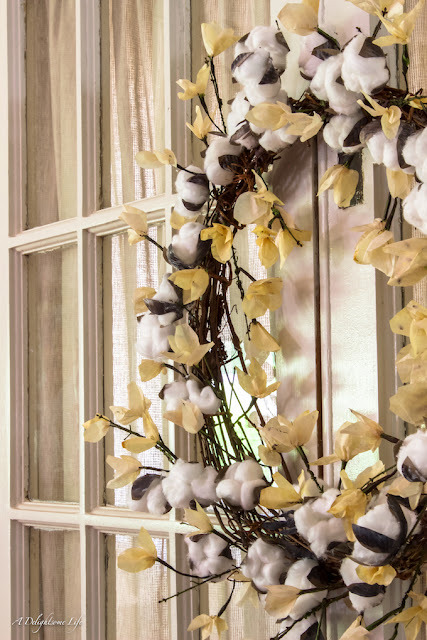 I think a lot of us are planning our fall decor and this DIY cotton boll wreath by A Delightsome Life would be a good addition. I don't know how many of you iron, but I have a lot of cotton clothing that needs to be ironed and this is such a cute DIY ironing board cover by Thistle Key Lane. 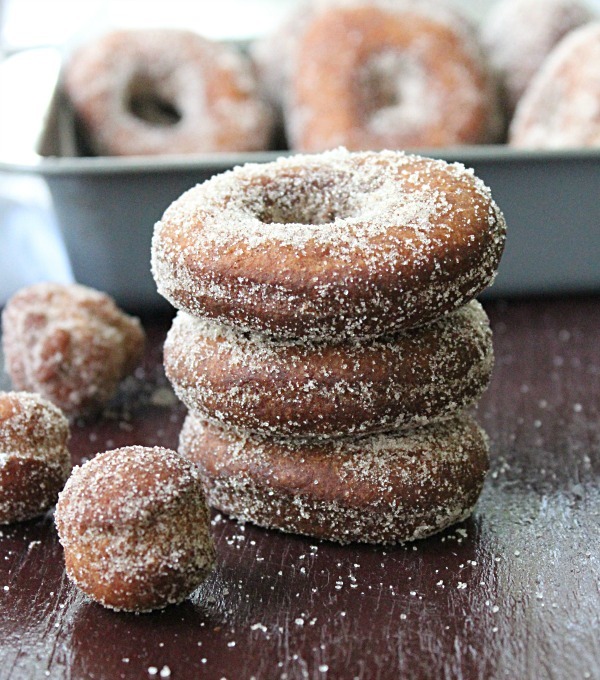 Easy to make doughnuts by Our Table of Seven. Thanks so much for hosting each week, Kim! The donuts look delicious! Thanks for hosting us KIm! Enjoy your week! Thank you so much for hosting, Kim, and have a beautiful week! Thanks for hosting, Kim! Congrats on your 350 milestone!! That is a lot of parties!!! Kim, your features are inspiring--love the ironing board cover! Kathy's wreath is so pretty, and I'm headed to the kitchen now for a donut. Have a great week. Great features Kim! Congrats on Party #350!!! Have a great week and looking forward to more of the bathroom progress! Love your features, thanks for hosting! Happy 350th and thanks for the long standing invitation to join you each week! Congratulations on #350!!!!! Always a great lineup. Thanks Kim for your 350th !!! WoW Us Wednesdays, always appreciated. So happy to be part of #350. Thank you so much for the ironing board cover feature! Once again so many great ideas! Your bathroom is looking good! I know you'll be so happy when it's finished. Thanks for hosting, Kim! Wow - 350! Thanks for hosting each week! Kim, Congratulations on party #350! That is pretty awesome. Even before I began blogging myself, I enjoyed stopping by and reading your blog all those years ago. :) It's always fun to read what you've been up to! Thank you and thank you for hosting all these years!!! Thanks for hosting Kim! Nice to join up after being away for awhile. 350 - that's awesome! Thanks so much for hosting every week! Congratulations on 350 parties Kim! That is indeed a lot of parties. Thank you for all you do here. I know it is a lot of work and I really do appreciate all you pour into it. Happy 350th party!!!! Thanks so much for hosting! Congrats on hitting 350th party. Thanks for hosting and have a wonderful week.